Here are some of the items competitive Scrabble® players use to play. The game rotates on a turntable. Both of these characteristics are recommended for tournament play. Some of the older games are actually better made than some of the newer editions. There are a number of people who make custom boards. Ask the director or others you see with these boards where they got them. You can also Google Scrabble® boards on the web to locate a wide variety of boards. There are at least two reliable sources of Scrabble® clocks that you should check before you buy. The largest selection is at SamTimer.com. He sells several clocks and all are acceptable. The pocket model comes with its own plastic case and is $59 + $4 shipping. There is a $10 discount for players older than 55 and full-time students on all his clocks. You can also phone 888-SAM-TIMER. Sam also makes custom boards. Gene Tyszka also makes a very good clock. His grey one is $89 and includes shipping and a soft case. Visit www.adjudicator3000.com or call him at 905-270-9662. I have owned this clock for about three years and have found it flawless. He is very easy to deal with. Of course, you can always look for clocks on eBay and perhaps pick up a used clock made by either of these people. Do NOT buy the generic game clocks offered locally and on eBay. They are difficult to configure for Scrabble®. I would also avoid analog chess clocks. The one book that is indispensable is Everything Scrabble® [2001 Edition] by Joe Edley and John Williams. It will teach you basic strategy and has many exercises for improving your game. Another book that is useful is The Complete Wordbook for Game Players by Mike Baron. In late 2007, it was updated to reflect the new  NSA wordlist. Also useful is The Official Scrabble® Dictionary [4th Edition]. All of these books can be found new and used on half.com or searched for on addall.com. Even with shipping you will save a lot of money by buying online. Bob's Bible 2006 has recently been published and is the best new word list and anagram book that I have seen. You can buy it online by sending Robert Gillis an email at bible@hiwaay.net. It's $22.50 including shipping. Brow-Raisers Edition II by Tony Rasch is available from the author at browraisers@lycos.com for $25 including shipping. It presents unique ways to group words to facilitate their memorization. For example, he groups the three- and four-letter words into patterns such as one vowel in front or one vowel at the end. There are many other interesting groupings including Scottish words and irregular plurals. It is like no other word book I have seen. 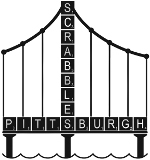 Serious competitive Scrabble® players join the North American Scrabble® Players Association at www.scrabbleplayers.org for $30. As a member you can purchase the 2006 Official Club and Tournament Word List [OWL2] which is what we use to judge our games. If you plan to play in tournaments you must join the association prior to your first event. The very best tiles are Protiles and they are available at www.protiles.net. Though several different types are offered the preferred tile is the double-injection molded with the hollow back at $25 a set (only order those tiles whose item number starts with an M). Guaranteed for life and free replacements. These tiles cannot be brailled nor is there any ink to be worn off from use.